A former thoroughbred stallion barn converted into a stunning, elegant, yet rustic party space. We have retained the details and atmosphere of the beautiful barn while updating essential elements for a wonderful event. 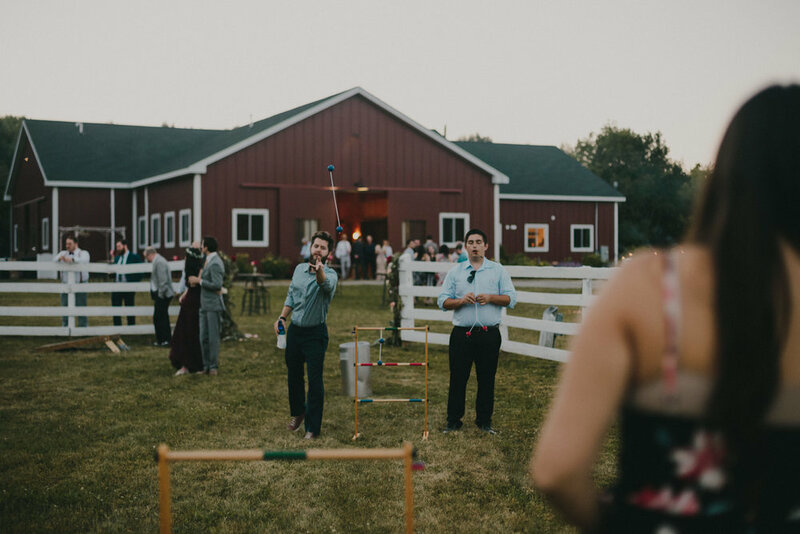 The BARN accommodates seating for 150 comfortably while still leaving room for a dance floor and a bar. Adding to the flexibility of the space are 8 large stallion stalls, which can be used for bars, hors d'oeuvres, lounge areas, coffee or dessert stations, S'mores and Cigar bar, photo booths or even extra dining tables. All of this coupled with the gorgeous dimmable lighting in the venue, will provide the setting and ambiance for an unforgettable day. The BARN now features Air Conditioning for those hotter summer days and Heating for the cooler spring and fall days. For Pictures inside the BARN visit our Gallery for reception layouts and pictures of our stallion stalls.